For some reason, almost every single person I’ve met who is a fan of another club thinks Vermaelen is our best centre back. It’s baffling, really. If you ask any Arsenal fan who our best defender, and not just CB, is, you should get a majority of them saying Koscielny, and rightly so. When Thomas first burst onto the scene, he scored lots of goals and some say that made us win him over instantly and overlook his drawbacks, but I disagree. He had a good season alongside Gallas, and his goals from the back were great, but his form deteriorated drastically since then and he was never the same player. Verm overcommits, mistimes tackles, makes poor clearances and simply isn’t Arsenal material. Yes, it is a bit harsh on Sagna that he’s no longer considered our best at the back. He is arguably our most consistent player since our move to the Emirates, but has been so poor this season. Bac is now 31, had two leg breaks last season and looks a shadow of his former self. I didn’t think I’d ever be saying this, but I wouldn’t mind letting go of both Vermaelen and Sagna this summer to Barca and PSG respectively, if we can get a decent 20-22 mil together. Coming back to Laurent. It’s a bit strange how one slight injury can have such an effect on a whole season. He picked up a knock while on duty with France a few days before the first game of this season, and so the partnership was Vermaelen and Mertesacker versus Sunderland on the opening weekend. We kept three clean sheets in our first three games, against them, Stoke and Liverpool and so Arsene stuck with this pairing in the middle even after Kos recovered. How the tables have turned now. 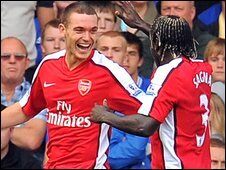 Vermaelen, who of course is our club captain, has been relegated to the bench, with Wenger preferring the Laurent-Per pairing, which undoubtedly is our best. Something Arsene should have done many months ago after such disappointing displays from the Belgian. (If you scroll down to my next blogpost which came after the defeat at Old Trafford, I said right then that Vermaelen had to be dropped.) I’m really glad Arsene has been ruthless that way, and should consider the same for Sagna over the last 4 games of the season. 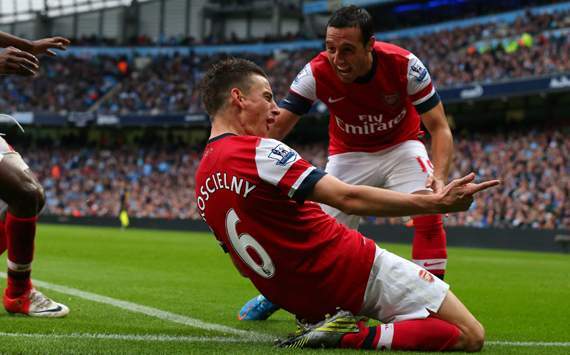 Most fans of other clubs only see what Koscielny he needs to get rid of; his clumsy side. He’s had some comical own goals, where he’s made a mess of simple clearances (last season vs Blackburn and Liverpool come to mind immediately), and of course that Obafemi Martins goal at Wembley. He also has these Clichy-esque brain farts, where he makes strange, uncalled for challenges, like the one to bring down Dzeko at home to City this season, but I’m a 100% sure that when he’s concentrating for every minute of the 90 every Arsenal game, he can keep the best centre forwards at bay. I think Koscielny can be compared to Carrick in the sense that they go about their business under the radar, without much recognition from the press, pundits, etc., but get the job done for the team efficiently and almost effortlessly. He might not know his name, but he probably watched Arsenal enough times last season to know that Laurent is a top drawer defender and would pose a problem to the deadly Spanish attack. Recently, Kos has also been linked with a move to Bayern, has Pep as apparently identified him as his number one priority at the back. (Take Vermaelen instead, Pep!) There’s no way we should like Bosscielny go. We need a team around our best players and Koscielny is one of them. He’s the backbone to our defence and deserves to start every single game. Although Per has also had a very good season, I feel there’s still room for improvement. 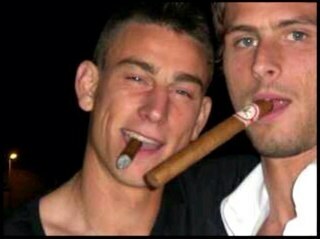 Koscielny deserves to have a top CB partner alongside him at Arsenal. I read an interesting stat that no team has won the Premier League without an English CB, and I think that’s exactly what we need alongside Kos; a no-nonsense classic British centre half. 1. He’s a leader by example. You will never see Laurent barking out orders at the back and he likes to leave that to Mikel and Per, but he instead goes about his defending quietly and does it ever so well. That’s why I think he’s a different kind of leader; not one who organises and gets in the face of the referee, but one who lifts the overall morale of the team by getting stuck in himself and battling on. 2. You won’t find a faster CB than him in England. 3. His ability to hold up opposition counter attacks. Everyone knows that Arsenal are arguably the easiest team to undo on the counter, but Laurent uses his speed and body so well when the opposition have the ball to slow down the play, which allows us to get bodies back in time. He never commits to making a challenge, which gives the attacker a lot less time to pick out a pass. This is something I’ve noticed for a while now, and I think it’s one of the main reasons we’ve been conceding a lot less, especially on the counter. 4. His ability to hold a line. This is a major improvement from last campaign, where we were all over the place at the back. The most important thing when holding a line is making sure your centre halves are the deepest defenders on the pitch and not the fullbacks. Per and Kos have done this ever so well, and watching the big number 6’s hand go up in the direction of the linesman when a through-ball is played reminds me so much of Mr. Arsenal, Tony Adams, who of course was the expert of the offside trap with Bould alongside. The tougher things get, the louder I’ll sing. Come on, Arsenal.